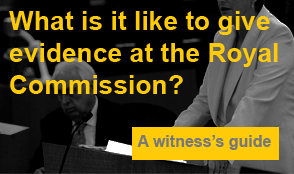 The Royal Commission will start today with a telephone link up between all six Commissioners. According to Scott Prasser, the executive director of the Australian Catholic University’s Public Policy Institute and member of the ALRC reference committee in 2009, the Royal Commission into child sexual abuse would cost the country at least $100 million. It will be the most extensive and the most expensive in Australia’s history.